A lot of times people build a great site but forgot to do the essential SEO. SEO stands for search engine optimization. 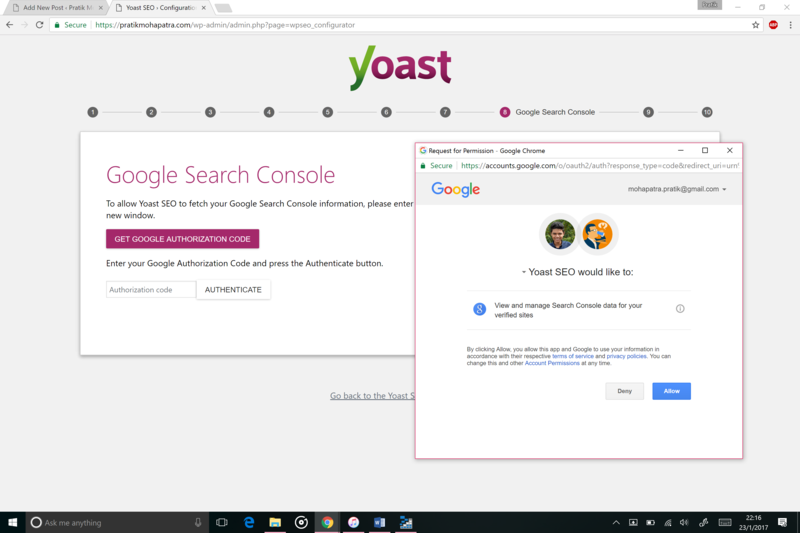 This is very essential for any website as if once tries to search for a website on Google they should be able to find out your website. 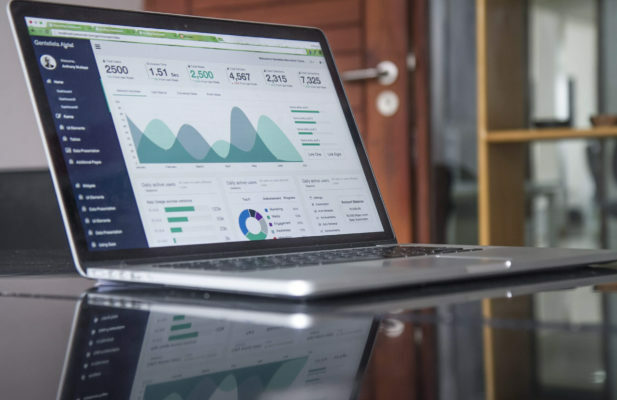 For that to happen we need to make sure we right the correct snippets of code and use the right plugin so that search results are accurate and index our website. 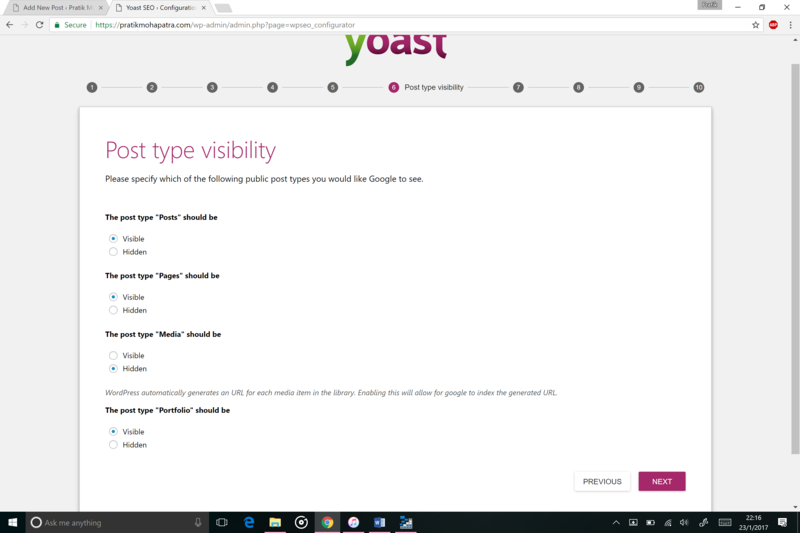 The best plugin I founf for doing this was the Yoast SEO plugin. I have been using it for a while now and its pretty accurate. 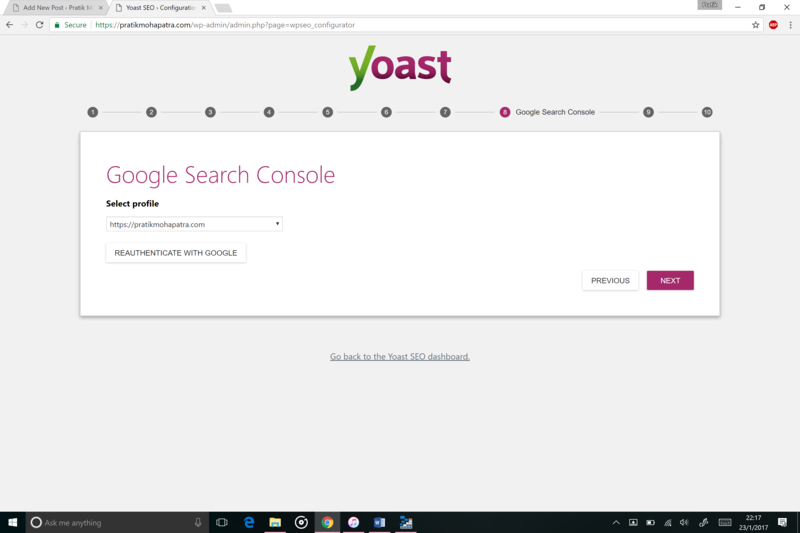 Below are the ultimate steps that you would need to use to make your site appear on the top for Google or Bing. 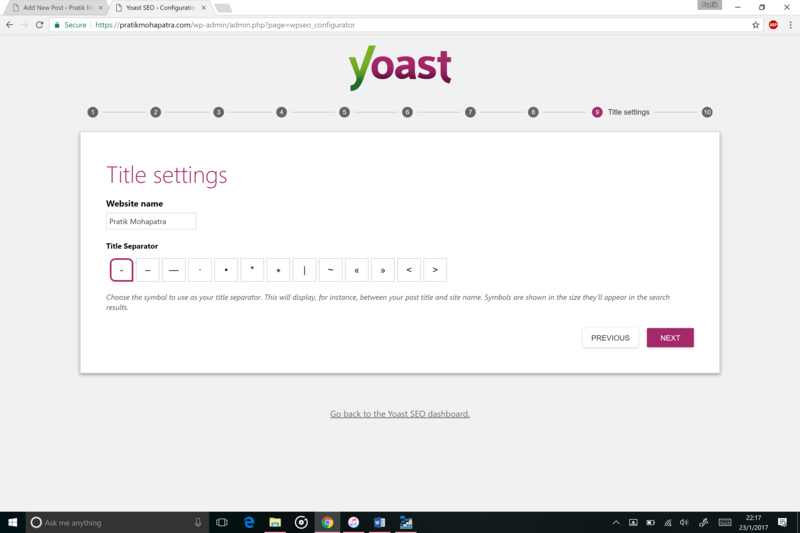 Click on this link to Download yoast SEO. 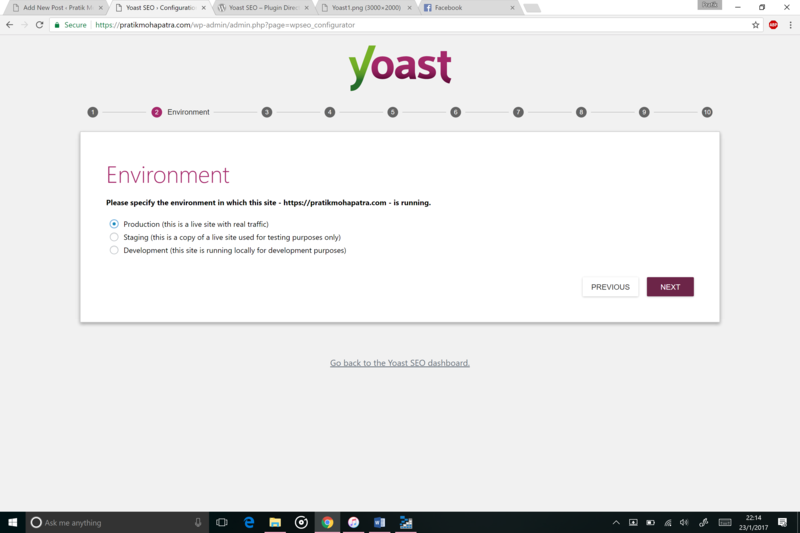 Once downloaded you can either upload it on your website through the plugin page or you can directly install it by going to plugins. After installing activate it. 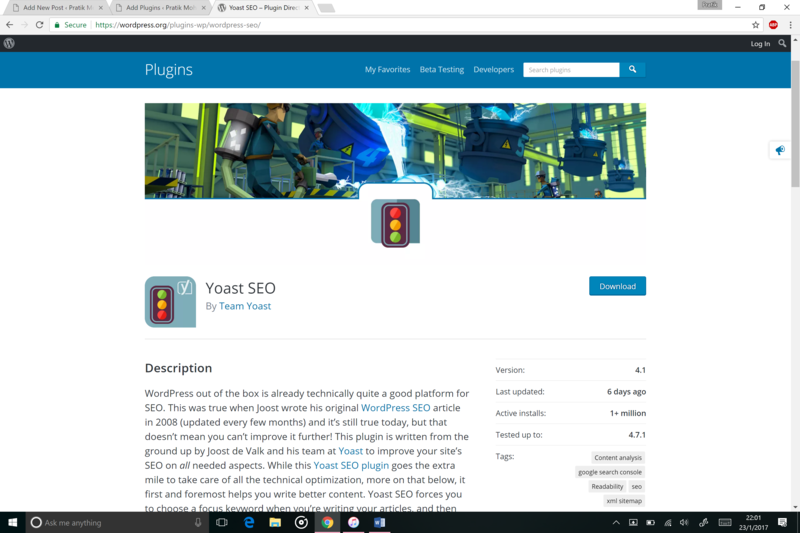 Once you have installed the plugin navigate to SEO on the left hand side bar. Go to general and click get started then follow these screenshots to get the ultimate set up. Choose the environment as required. Its better to use this plugin once the development has been complete done of the website. 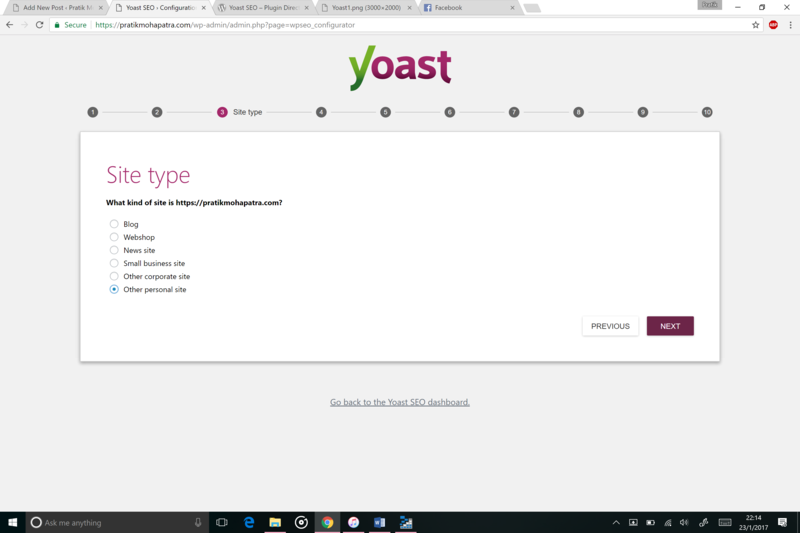 Choose what type your website is. This is important as your website is put into certain categories accordingly. 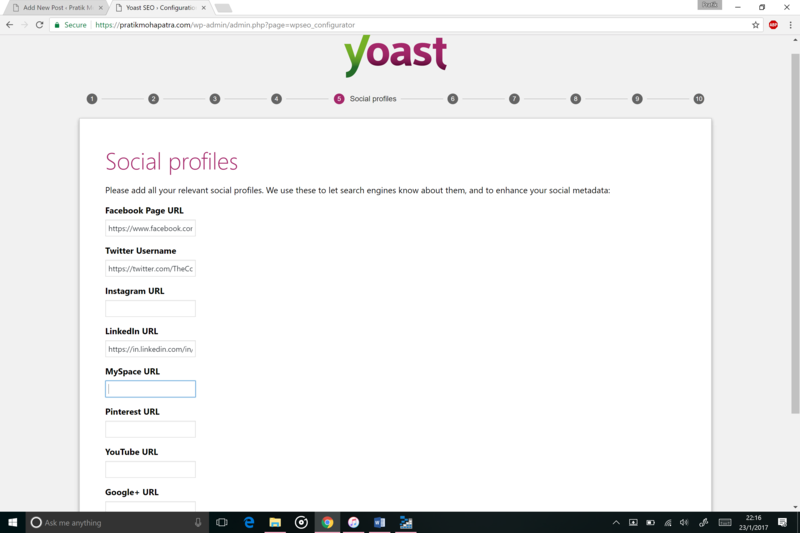 Enter the social profiles of the company or yourself as these will help in better indexing. Choose the above options as it is. 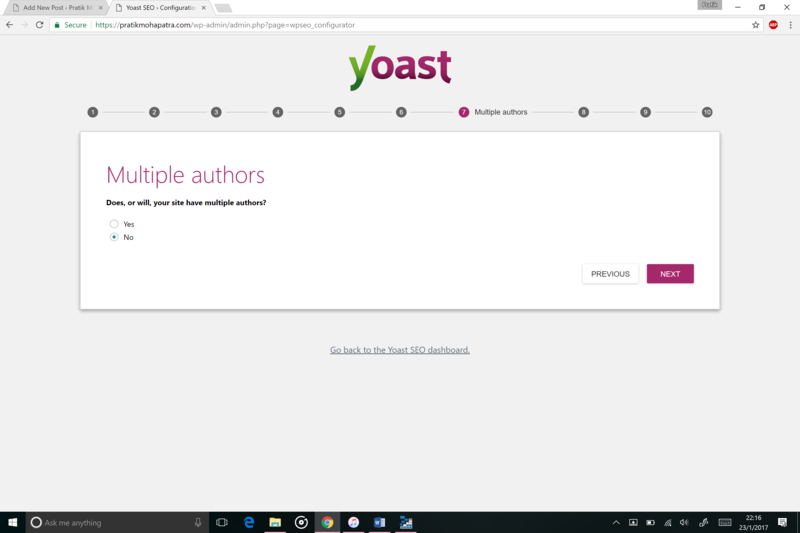 Choose multiple authors if you have more than one content writer in your site. Important step. Authorize it with Google this will generate a code. Copy paste that code and enter it. Then select the right profile. 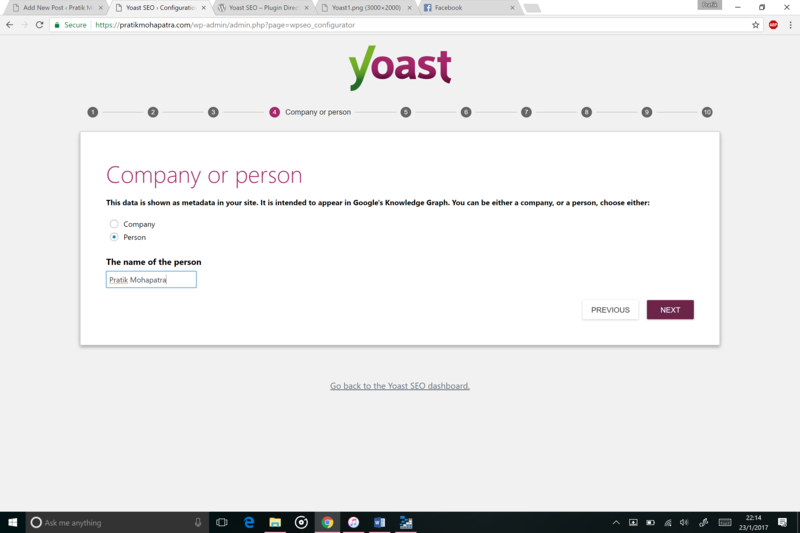 Type in the right website name. Make sure you dont have any typos. Thats it. 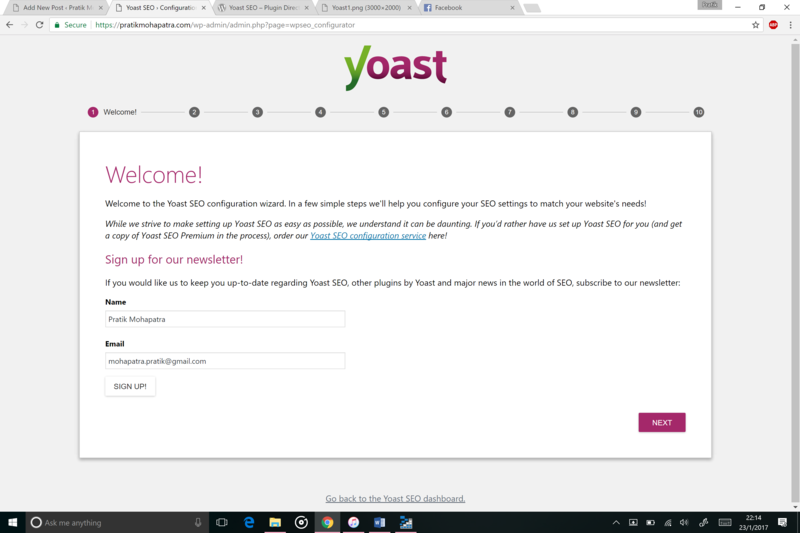 Now yoast SEO have been optimized and you can sit back and relax. If everything goes well you should be able to see it showing its magic in less than a week. Remember the more the people search your website the faster and better its going to be indexed.